Fantasia Mayfair 42″ ceiling fan without light in polished chrome with black finish blades is traditional and features a flush mount design. 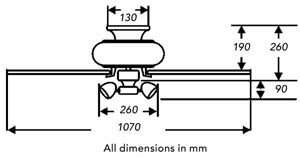 Fitted with a hanging pull chain that operates the three fan speeds and also available with an Amorie light kit. This traditional style fan has a polished chrome motor housing and sleek gloss black blades. The motor is almost silent when operated on the lower settings and consumes 50w of electricity at the highest speed setting to give an impressive airflow of 5200 cu/ft per minute. 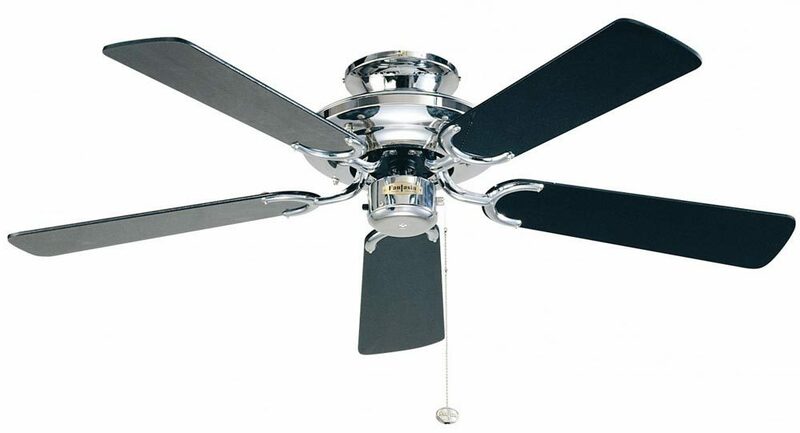 This Fantasia Mayfair 42″ ceiling fan without light in polished chrome with black finish blades is virtually silent and supplied with a manufacturers 10-year motor guarantee.